The only real question remaining is where will be your favorite? Can’t decide whether for your 2019 adventure you’d like to be dazzled by the bright lights of a big city, breathe in the fresh air of the countryside, or hear stories from monumental times in history? Well with this Highlights of France tour, you can have it all! 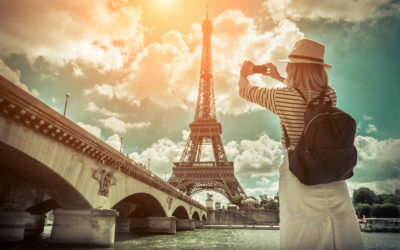 Starting in Paris, explore the city over three nights while also taking a full day out to play in Europe’s most popular theme park –Euro Disney. 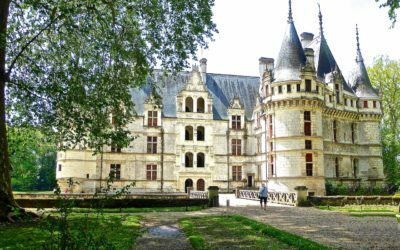 Then travel west through the beautiful countryside of the Loire Valley visiting the magical Mont St Michel monastery and the charming Chateau dÁzay le Rideau. 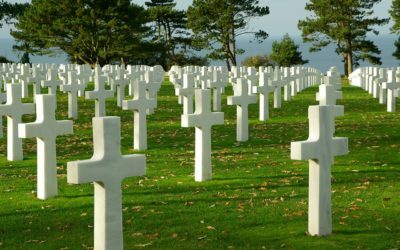 Travel onwards through the region of Normandy, paying your respects at WWII significant landmarks such as the D-Day beaches and the American Cemetery. 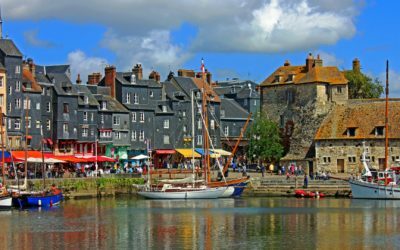 Then finally, discover the picturesque port town of Honfleur and Rouen, whose skyline is dominated by the Gothic spires of Cathédrale Notre-Dame, much-painted by Impressionist Claude Monet. So sign up and join us on this group tour through northern France and get set for an adventure of a lifetime. Starting in Paris, spend 3 nights in the capital before heading west through the Loire Valley. 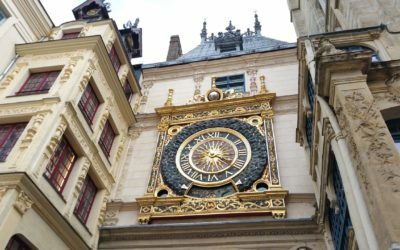 Make stops at Mont St-Michel and Chateau d’Azay le-Rideau continuing on through he region of Normandy and coming full circle for your return flight home from Paris. This northern France tour includes daily full buffet breakfasts as well as daily 3 course dinners - all of upgraded quality. Depart Seattle on an overnight flight to Paris, France. Arrive in Paris and be greeted by your Tour Manager at the airport. Once checked-in to your hotel, orientate yourself in the romantic city of Paris with a guided sightseeing tour led by an expert local guide. Then see the city from a different angle as you enjoy a cruise down the Seine River before you all sit down together for your Welcome Dinner at night. 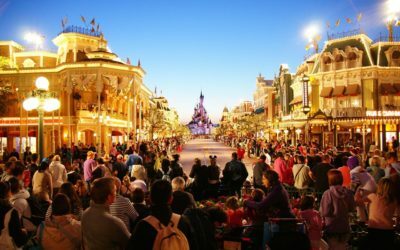 Set your inner child free as you spend a full day at Euro Disney – Europe’s most popular theme park. 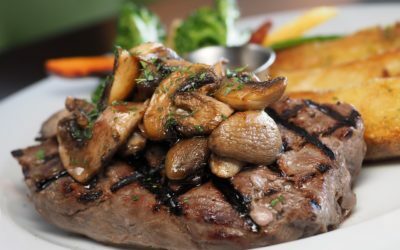 You’ll head back to Paris for the evening and enjoy dinner all together. 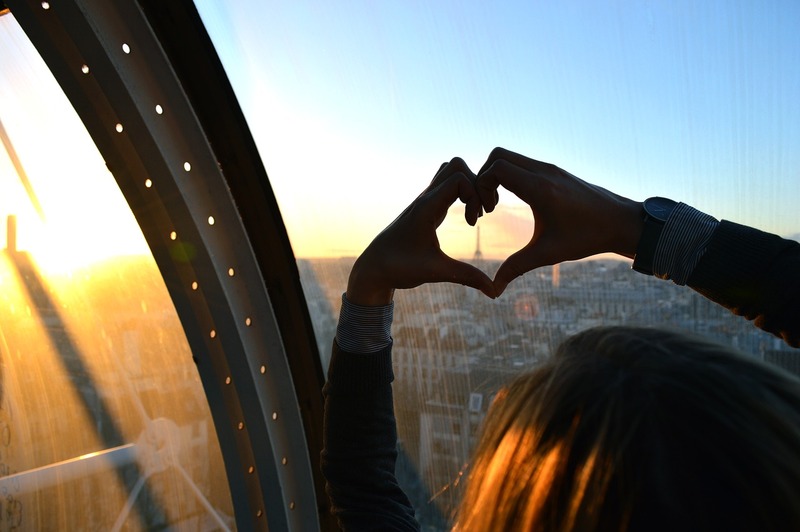 Start your day with the iconic Eiffel Tower and enjoy the view from very top – on the 3rd level! After lunch spend some time discovering the Louvre, the worlds biggest art museum, and see the famous Mona Lisa with your own eyes. Take some free time in the afternoon for your own exploration of the city before sitting down for dinner together at night to wrap up your Paris experience. Travel through the countryside and into the Loire Valley. 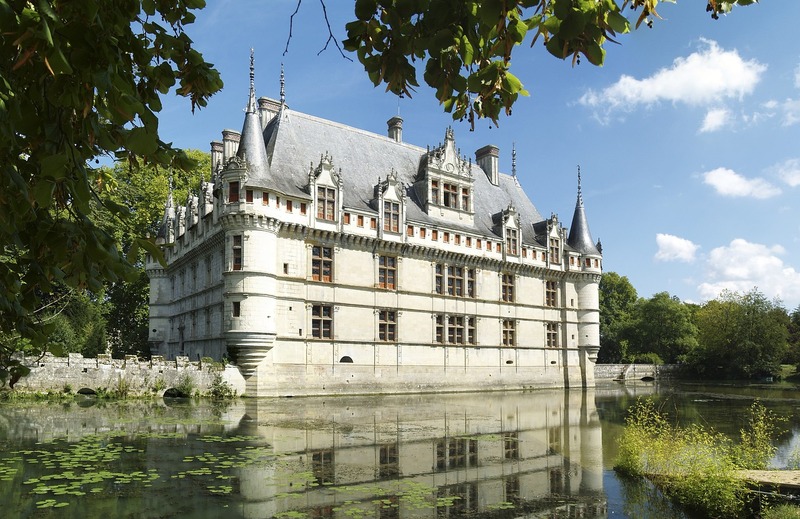 After lunch spend time visiting one of the most beautiful castles, the Château d'Azay-le-Rideau, which is considered one of the best examples of early French renaissance architecture. Sit down to a delicious dinner at night before your overnight stay in the Loire Valley. 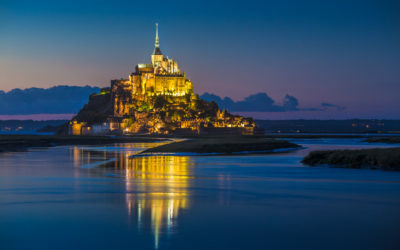 Today you'll travel to one of the most unique towns in France, the tiny island community on the north-western coast, Mont St Michel. A majestic island surrounded by tidal water, you’ll make a visit to the abbey which stands out perched atop the island. Continue in the afternoon to the French port city of Caen, in the heart of Normandy. Dinner at night. Today is all about the history as you explore the historic region of Normandy. Start your day with a visit to the Caen Memorial for an amazing historic display and film explanation of the D-Day beach landings. Continue on to other significant landmarks and locations from WWII including Point du Hoc, Omaha, American Cemetery and Arromanche Harbour. Return to your hotel in Caen for the night and enjoy dinner all together. 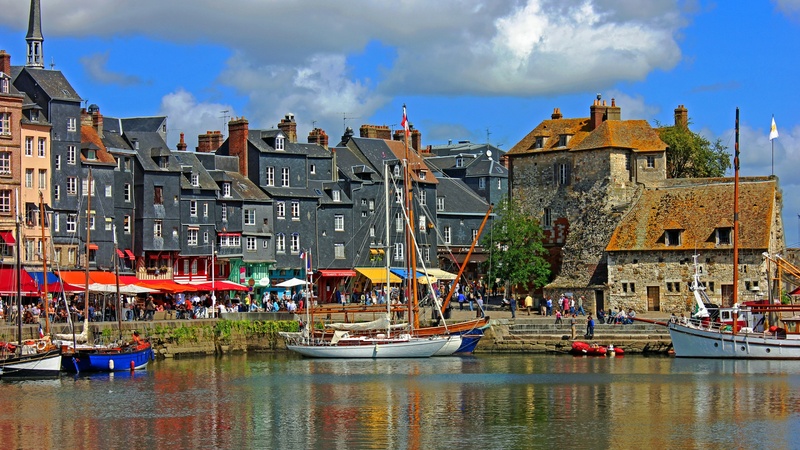 Continue your journey through Normandy and visit the picturesque fishing harbor of Honfleur. Known for its houses with slate-covered and painted frontages, Honfleur houses the the Sainte-Catherine church, which is the largest wooden church in France. Carry onward east and spend some time in Rouen, the capital of the Normandy region and discover the very place where Joan of Arc was burnt at the stake. 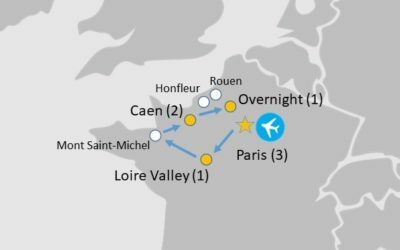 Enjoy your Farewell Dinner in Rouen before spending the night either here or in the surrounding area so you are close to the airport for your return flight home tomorrow. Transfer to Paris airport for your return flight home to Seattle. 6 April 2019 (+/- 2 days*) – Departure from Seattle, USA to Paris, France. Return flights from Paris, France to Seattle, USA on day 9 of the tour. *Exact departure date TBC dependent on flight times and availability. Honfleur hasn’t always been French. First the Scandinavian Vikings moved in, then on a couple of occasions in the Hundred Years War between France and England, it was taken and occupied by the English.